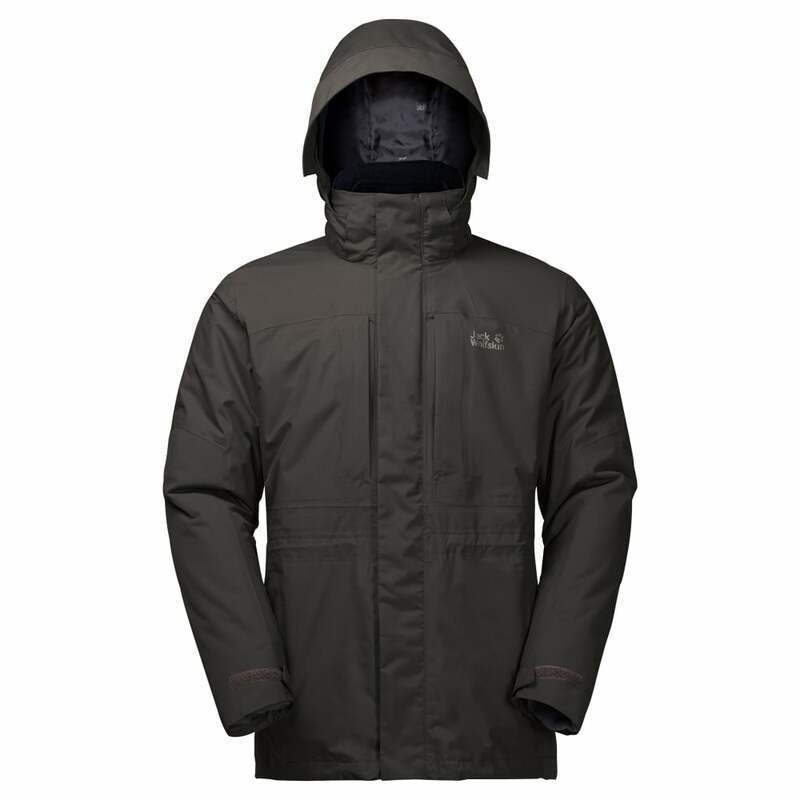 The Jack Wolfskin Mens Thorvald Jacket is a waterproof 3-in-1 jacket great for year round protection from the elements with multiple ways to be worn. The jacket utilises Texapore 2L fabric, a waterproof, windproof and breathable fabric designed to offer complete weather protection while being highly durable. The breathable nature of the fabric allows moisture vapour to escape, ensuring you stay comfortable and dry in the wettest of conditions. The fabric is completely windproof which keeps cold winds at bay and eliminates windchill. A Regular System Zip allows you to zip in a compatible inner jacket, providing versatility by allowing you to adapt to changing weather conditions and temperatures. An adjustable removable hood provides convenient protection from the elements, ideal for protecting the face and head against cold winds and heavy rain. The hood can be detached when it's not needed, making the jacket less bulky and providing a more streamlined appearance.